In Sweden there has been a wide debate the past year about what is called Ipred. 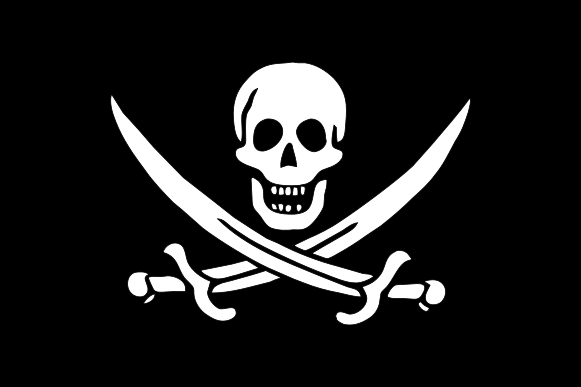 This is the laws on which personal information can be demanded by police if a private person is a suspect of software or movie piracy. 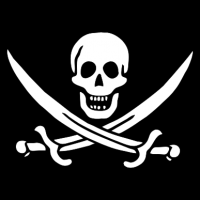 Even though this is how the law is written there has not been any pirates caught using the law this far. The law that so many was yelling would tear down the very foundation on which our freedom of speech was standing on has proven to change nothing at all. This is not the case in all countries though. Back in the fifties an elementary school named Willian Dawes Elementary School decides to use a time capsule to record the children’s thoughts on how the future might look. As most children draw robots and spaceships one of the pupils named Lucinda draws what looks like full pages of random numbers. The teacher question the reason for this but still decide to let it pass into the time capsule and be sealed for fifty years. 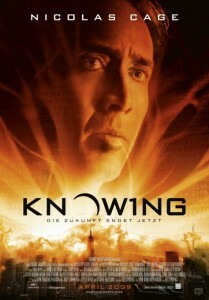 Knowing is a new movie just out featuring Nicolas Cage. This time Mr. Cage takes on the role of a singe-parent astrophysicist named John Koestler who is struggling to handle his life after he lost his wife. The story evolve surrounding John and his son Caleb (Chandler Canterbury) who attends the William Dawes Elementary School. At the day when the time capsule is opened Caleb receives Lucinda’s sheets of numbers and brings them home because he think that they have a higher purpose. Drunk and broken down by his loneliness after his wife, John find a pattern in the numbers and the plot takes of. As the first half of the movie goes the tension really builds up and they hold the audience in a great grip, as a viewer one feel that the story can take many different turns. The problem is that this twist never really arrive and when it does, I think almost everyone in the theater has already figured it out. For some this might actually be a good sign but for most people I think it will be more of a turn off. Also, the special effects of the movie did halter in a few places which made me question the production a bit. Because at the same time there was other pars of the movie which was incredible in both effect and realism. Especially the part which involves a plane crash which was shown during a full continues two-minutes shoot. Knowing currently hold a score of 6.5/10 at IMDB, and 33% at RottenTomatoes and a user-score of 6.4/10 at MetaCritic which can be seen as “OK” but nothing more. Personally I’d go for a score of 5/10. I feel the story had a great chance of blowing the audience away but did instead settle for the easy way out. 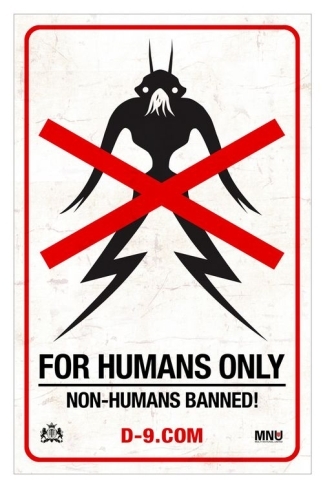 Just a litle time ago I wrote a preview of the movie District 9 and showed off my great expectations for the movie. There were both concerns and expectations in my mind when I yesterday went to the cinema downtown and had the pleasure to watch it. Most of the times I watch movis which I have been looking forwad to for a long time the eyes I see it with gets filled with ever more criticism. This makes movies like these sometimes loose a small portion of their glance because of the expectations that is needed to be fullfilled for it just to reach the surface. I was afraid that this would be the case with Districs 9 but I was happily surprised when the movie really did deliver a great show! Sharlto Copley (main antagonist) did an awsome interpretation of his character Wikus Van Der Merwe and the downfall of his personality was beautiful. If Van Der Merwe had been casted using a known actor I think that a great portion of the mocumentary-feeling of the movie would have been lost. The raw gruesome feeling was kept intact by disturbing images of war and terror which also did strengthen the feeling of the “mockumentary”. I can greatly recomend the movie for all into sci-fi with a twist. A word of warning is needed though for the movie do include some really disturbing images and can be seen as upsetting. Already looking forwad of seeing it again as soon as it is released on Bluray!